This weighing scale meets with IP66 (dust tight and protected against a strong water jet) standards and is ideally suited to any industry where high humidity and dust is a consideration i.e. food, pharmaceutical, chemical, mixing and shipping applications. This all-purpose electronic scale has a removable stainless steel platform for easy cleaning. 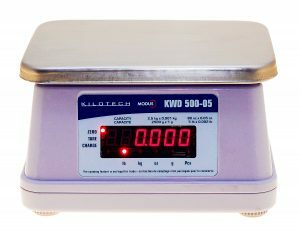 The KWD 500 series bench scale is also completely portable with the flexibility of either using the rechargeable battery or be plugged in with an AC power cord, so you can work just about anywhere. The handy tare feature lets you deduct the weight of a container, providing net weight only. Convenient displays on the front and rear of the scale allow use from both sides of a worktable. 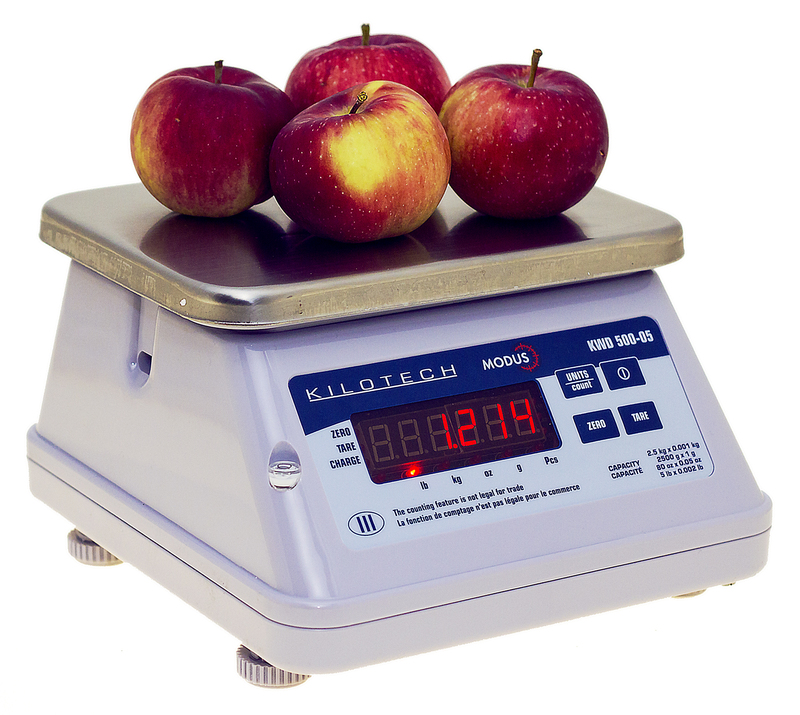 With a choice of four different weighing capacities, there is a scale to suit just about every application. This scale may be optionally ordered as legal for trade.